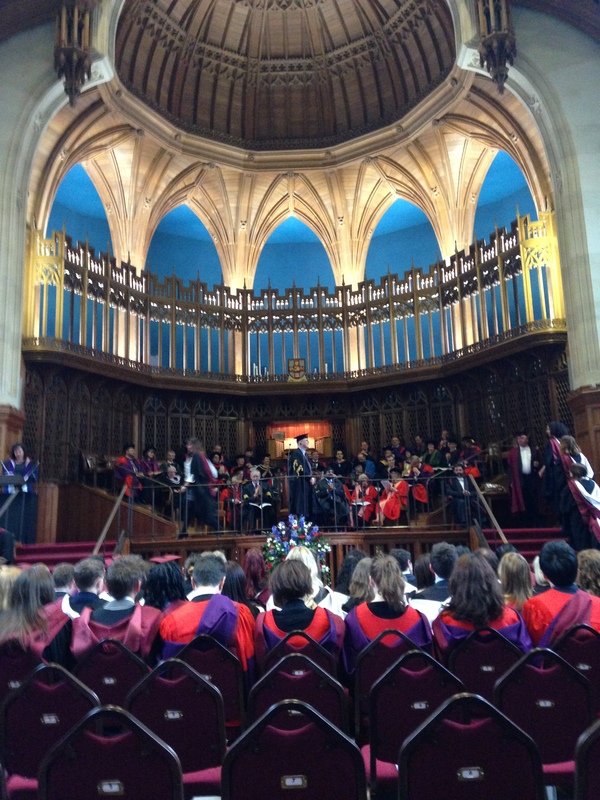 The grand finale to an amazing year – my MSc graduation! 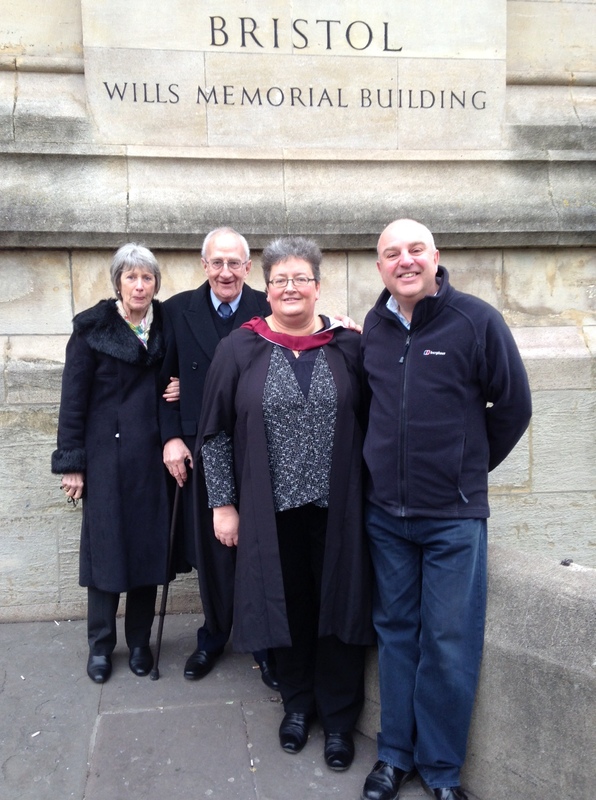 I never quite believed I would make it and get to this point, but last week I attended my graduation ceremony. A fantastic finale to an amazing year. 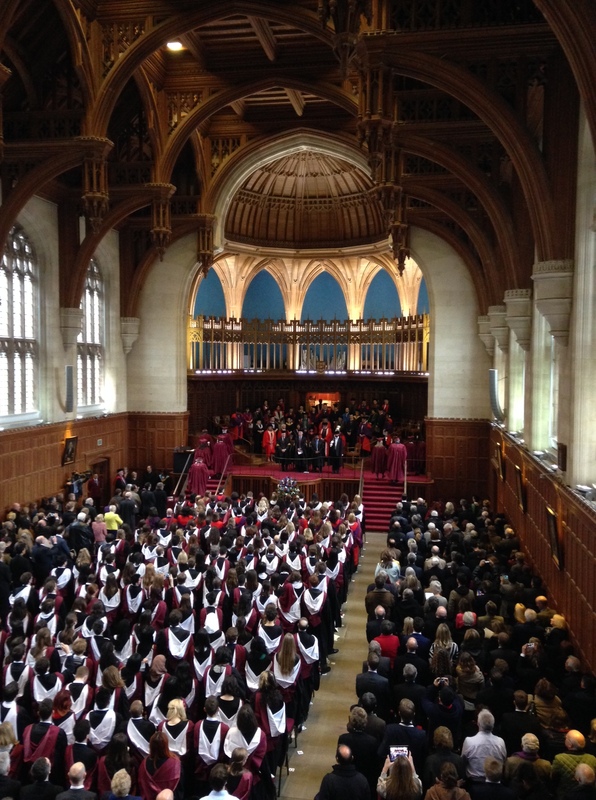 Doing an MSc in Public Policy at Bristol University after so long away from anything to do with the academic world was a real challenge but one I thoroughly enjoyed. The ceremony itself was spectacular, a lot of pomp and ceremony, but enthralling in its own way. A lovely day made even more special by the friendly service provided by all those that helped to make the event go so smoothly, and for whom nothing was too much trouble. I was initially in two minds about whether or not to even attend, but I am very glad I did. After a year of hard slog and a pretty intensive work programme it was nice to receive some recognition and to celebrate the achievement with family and friends. My father and his wife enjoyed themselves, as did my partner. It was also great to catch up with class mates and lecturers who made the year so special. 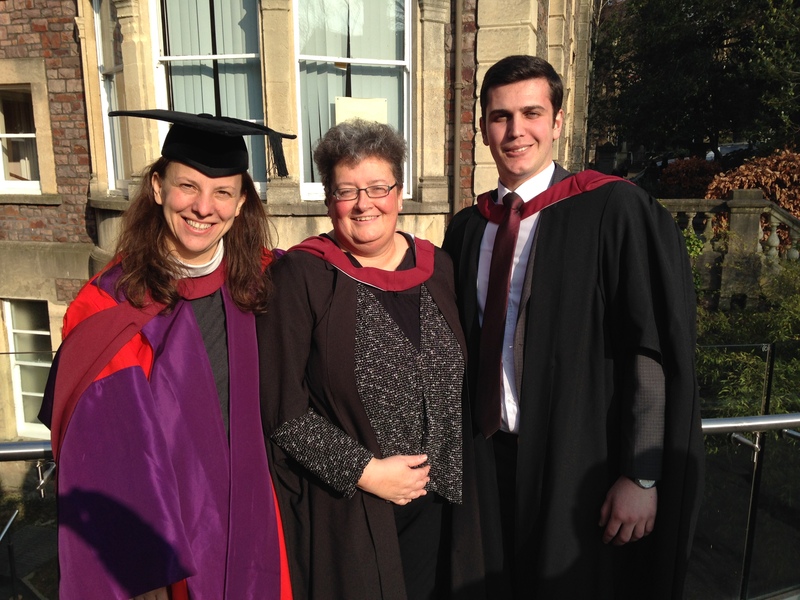 Without the help and support of so many of the staff, both academic and administrative, I would probably not have made it through and certainly would not have enjoyed my time so much. The discussion, debate, and challenge generated during lectures and seminars were something I had been missing for many years. 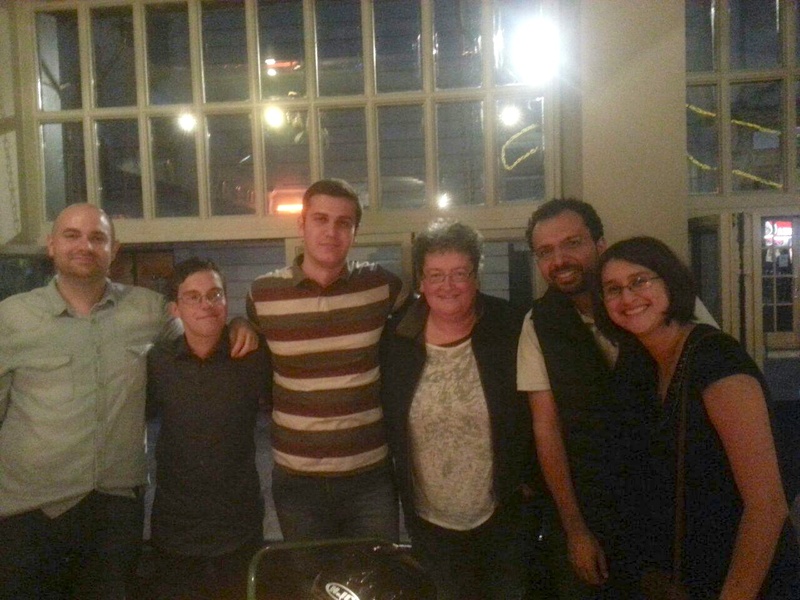 The chats and discussions with fellow students, about life in Bristol, essays and assignments, and life back in their home countries, were endlessly fascinating and I learnt a huge amount from them. I have made some new friends, and despite the geographical distances, with many coming from China, Thailand, Canada, Azerbaijan, Denmark and Palestine, to name but a few. I hope we’ll keep in touch for years to come. I owe a very special thanks to some amazing academic staff in the School for Policy Studies: Noemi Lendvai, David Sweeting, Alex Marsh, Sarah Ayres & Ailsa Cameron for their support and help throughout the year and to Emma Western and Andrea Osborn for getting me through the systems and processes and being so friendly and always willing to help. I have written previously about what it was like being a mature student – My year as a mature student and One year ago today – so won’t repeat what I said then, but suffice to say the experience has been both enlightening and at times quite scary. It’s a year I’ll never forget and the graduation ceremony was a great way to bring it to a close. And now onto the next challenge – I am currently 5 months into a PhD programme, at the School for Policy Studies at Bristol University, and am just beginning to realise the very real difference between doing a Masters degree and embarking on a PhD! As someone who writes the odd blog myself, I also read quite a few that other people write. These cover a range of topics but are mostly focused on politics, planning and housing, as well as a few about Bristol. I tend to use blogs to keep me up to date with what is going on, to find out what others are thinking and talking about and to challenge my own thinking. So, here’s my top ten list of the ones I read regularly, in no particular order, the best of the best! Bristol blogs – a compilation of blogs about Bristol (including mine) which cover a whole load of topics about what’s going on locally. 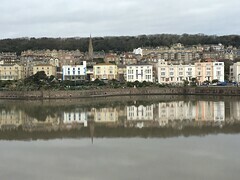 I couldn’t leave a heading about Bristol blogs without a special mention for two of my favourites – The Bristolian, because well it really is different and so anti-establishedment; and Stockwood Pete, because it’s a good local blog that I enjoy. My Year as a Mature Student! Well, what an amazing year this has been, from losing my job to rediscovering my interest in academic life as a student. Who would have thought over a year ago that this is what I would be doing now – certainly not me. I have had just the most fascinating, positive, interesting and challenging time over the last year, returning to study as a (very) mature student and I’ve loved every bit of it. Choosing to do the MSc in Public Policy at Bristol University this last year has to be one of the best decisions I have ever taken! Last month I wrote a blog about ‘one year ago today‘ covering some of my experience since I lost my job. I talked about rediscovering my love for the academic world, my love of writing, reading and learning, as well as an interest in debate, discussion and intellectual challenge. All the things that were sadly lacking in my work life for so long suddenly became the centre of my life as a full-time student for the year. And now that year has come to an end – the final piece of work submitted and the course complete – a time to celebrate but also to reflect. I have met some truly amazing people this year and I will miss meeting up and chatting with such a diverse and interesting group of fellow students. I have also learnt some things about myself this year, which took me slightly by surprise! Perhaps the most difficult thing for me was getting to grips with how uncomfortable I felt about the situation I chose to put myself in, and I have only just worked out why I felt like that. Here’s the thing, for over 15 years I had been in a position where at work I was either the CEO of my own organisation or a senior manager at the top of the hierarchy. I was the one that other people came to for advice and guidance, I was the one taking decisions and steering the direction. I was the expert, with knowledge and experience, and people wanted to know my views on things and came to me as an expert who could help. Then, everything changed, I became a student again. Suddenly I was the novice and the one that needed help, support and guidance. I put myself in a position where I would be judged by people far more expert than me, subject to academic scrutiny for the first time in over 25 years, and where I knew so little compared to those around me. That was tough, difficult to adjust to and a truly humbling experience. I can’t count the number of times I came away from lectures, discussions and meetings with supervisors/tutors, feeling like I knew nothing and that I had so much more to learn. I spent hours trying to work out how come I hadn’t thought of that, why I hadn’t asked that question, why I’d missed that critical bit of reading – and to be honest it left me feeling entirely stupid on on more than one occasion. But, the important thing is that whilst this was undoubtedly difficult, and I now recognise why I found certain things so challenging and ‘strange’, it was also a fantastic experience that I would not have missed for anything. If you can just get over that shift in position and accept it as a new experience where yes, you do have a lot to learn and you are reliant on others to help, then the rewards are certainly there and definitely outweigh the slightly uncomfortable feeling you might get from being a novice again at this stage in your life. One year ago today I was told I no longer had a job. To say this came as a bit of a surprise would be an understatement, I’d been promoted regularly, always received excellent reviews and felt like I had contributed a lot to the organisation as a senior manager. But then things changed, and it was my time to lose out, discarded overnight from an organisation I had been part of for 8 1/2 years, just like that, without a second thought. My world felt like it had come to an abrupt end, life was so unfair, why me, what had I done to deserve this? Those initial feelings soon gave way to ones of hope and opportunity – ok so what next, where’s the next challenge, what do I do now? 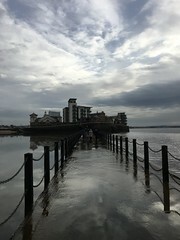 I wrote about my journey from redundancy onwards in another blog, so I’ll try not to repeat too much of that, as it is a very personal journey. I wrote a blog a few months ago about being made redundant and how that had led to me going back to being a full time student. Well, this is a follow up to that blog, it’s about the final stages of that MSc process – the dissertation! I have now successfully managed to negotiate my way through that first 2 terms of lectures and seminars, as well as the 6 assessed essays, achieving marks well beyond what I thought was possible at my age and after so long away from the academic world. Now to the really difficult bit, choosing a subject, researching it and writing it all up as a dissertation. Embarking on an MSc dissertation is like taking a journey of discovery, not just about your topic but also about your own thinking and that of others. It’s about rediscovering the challenges and opportunities presented by an issue, finding out what others have written about it, how they researched it and what conclusions they draw from that process. The journey of discovery starts with an idea, an often ill-informed notion that is of interest but perhaps little more than that. This idea is then reworked, explored, reframed and revised before a plan can be put together, a plan that takes you on the next stage of the journey where discovery becomes central to the process. 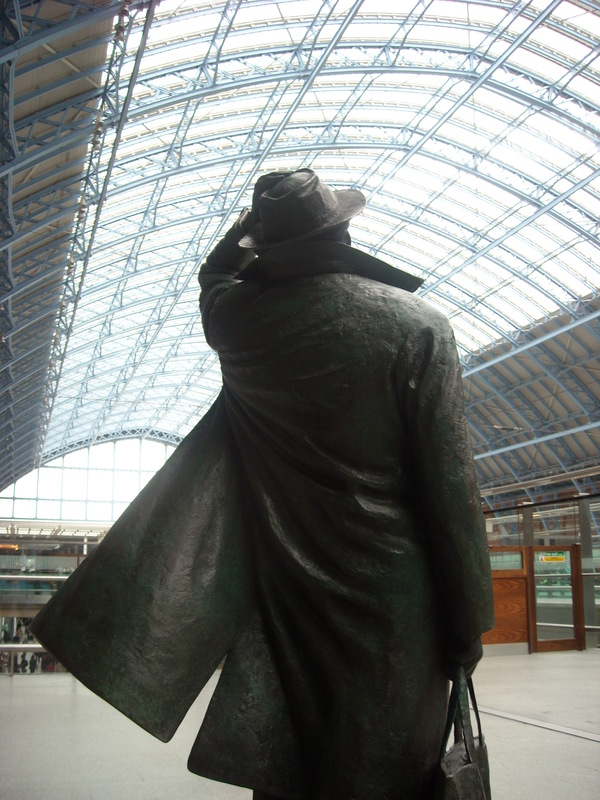 A personal Journey – from redundancy onwards? I’ve decided to write a different type of blogpost, a bit of a departure from most of the blogs on here. This is more personal, about my journey after redundancy and the beauty of it is, I don’t know how it ends, I have no idea what I will be doing in a few months time, let alone this time next year. This is a blog that many will no doubt relate to, as many have faced redundancy or career changing decisions, many others will have struggled through exactly the same thought processes and anxiety that I have, and come up with very different conclusions no doubt? Whether anyone will find it interesting is another matter entirely, and maybe, just maybe, the process is more about reflection and therapy for me than it is about anything else! It’s also strange writing about myself, as my other blogs tend to be about issues and interests. The story starts at the end of August 2013 when I lost my job. I’d been there for just over 8 years in quite a senior position, but for various reasons my time there came to an end rather abruptly. So after a pretty tough final few years in that job, working ridiculous hours, rarely taking all my holiday, constant stress and being far too focused on work, I suddenly found I had to think about what I was going to do next. The thought of updating my CV and searching out job opportunities, filling in application forms and going for interviews just did not appeal. I had no idea if I could just go and work for someone else again and who or what that would involve or if setting myself up as a self employed consultant would work. The biggest challenge I found myself thinking about was what I had to offer – I’m a bit of a generalist rather than a specialist, I don’t consider what I do as a specific skill or something that is marketable, I just do some stuff, mostly whatever is asked of me. In all my jobs I have adapted to what is needed, to what anyone has thrown at me and just got on with it – that has ranged from staff and budget management, charity management, marketing and PR, research and policy, writing, company strategy, business planning, membership and representation, community engagement, development control and planning advice, academic research and lecturing, partnership working and community regeneration. So what jobs could I aim for at what level and what would I sell if I went self employed? I have no idea! So what to do next? After several weeks of blaming everyone but myself for the position I found myself in and being quite emotional about the whole thing, I got to the point where the logical side of my brain took over, it normally does. No one else was going to sort things out for me, it was entirely up to me what I did next and that was the start of looking forwards rather than backwards. My first decision was that I was going to take a year off, to give myself thinking time, to work out what I wanted to do next and what I valued about each of the jobs I have done in the past and what I was less keen on – an interesting process that I am still going through – in the hope of beginning to define what I enjoy about work and what I’m good at! 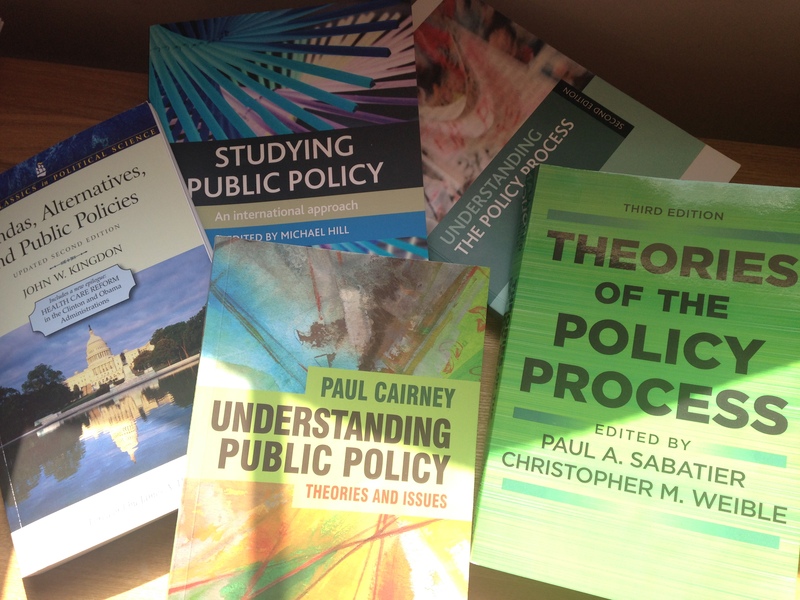 I also decided I would need to do something during that year and my first thought was to take a look at a course I had always been interested in doing but never quite had the time to consider properly – the MSc in Public Policy, in the School for Policy Studies at Bristol University. It covers so many of the issues I am interested in and want to know more about that it was an obvious starting point. I was keen to get back into academic reading and writing, something I had moved away from 20 or so years ago and to a point missed the challenge it provides and the reward you get from tackling complex issues and problems. So I investigated and found I’d missed all the usual deadlines (this was about mid/late Sept) and the course had actually started, but I got in touch anyway and found out there was still time if I managed to complete everything required in just a few days. Thankfully it all worked out, thanks to some very helpful people in the School office, and I started the course a week or so late at the beginning of October 2013 – I went back to University 25 years after I had first graduated and I’m loving it! I would recommend to anyone the idea of embarking on a university course as a (very) mature student, I am getting so much more out of this than I did as a youngster straight from school and my motivations for doing it are so different compared to when I was an undergraduate. I’ll write more about the course itself, the highs and the lows, the challenges and the fun, once I have completed it later this year (mid Sept). Right now I am in the final stages of the course with just a dissertation to complete in 4 months! In terms of thinking about what to do post-September, well I still don’t know really and have no set plans. I am still reassessing what is important and what I enjoy doing. One thing I do know is that for me, being made redundant, from a job I had grown to dislike (I was going to write ‘hate’ there, but that’s too strong a word), was quite possibly the best thing that has happened to me for a long time. Not having a job has forced me to consider what is important and what I want to do next, rather than just plodding along in a job that had moved so far away from what I enjoyed that going to work everyday was a chore, but I kept going with it because change is scary, it’s difficult and it’s challenging, and we often avoid it even when it should be the most obvious thing to do. Forced change is certainly unpleasant at the time, but I have been fortunate to be able to use this as a positive opportunity to think about what next and to revisit the academic world for a while, something I used to be familiar with and I am enjoying my return. What the future holds I don’t know but it will be very different to what I did in my last job.